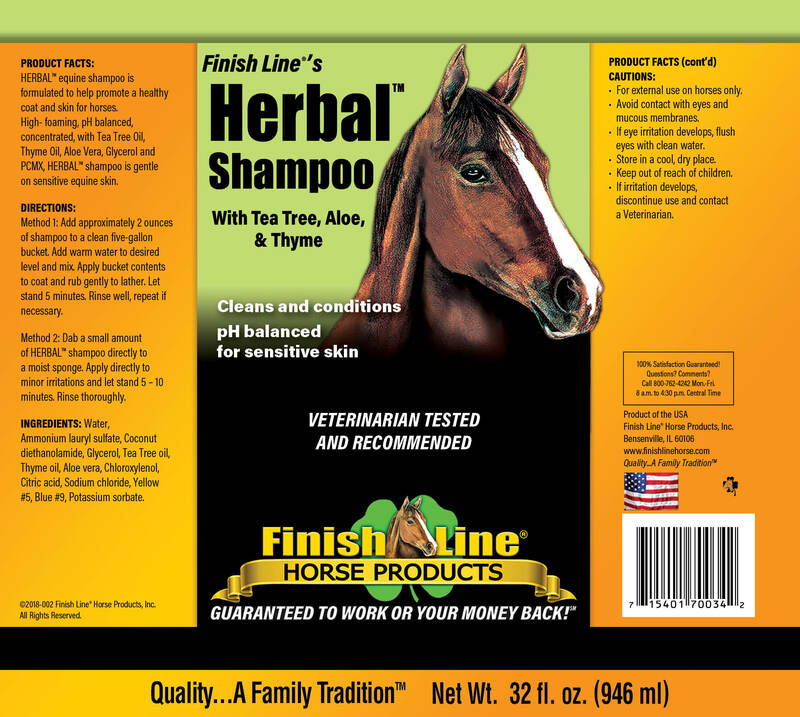 Herbal Shampoo is Finish Line®’s mild and gentle shampoo. It was carefully formulated from the ground up, just for horses, with the essential oils Tea Tree and Thyme that help promote healthy skin for your horse. This is a mild, pH balanced (to match equine skin pH), and high foaming shampoo that helps moisturize sensitive skin while leaving a refreshing herbal aroma and clean hair. Note: Equine skin is approximately 8-10 times more sensitive than human skin. Equine skin has a normal pH range of 4.5 to 5.5 compared to human skin at 5.2 to 6.2 (a bit more alkaline). 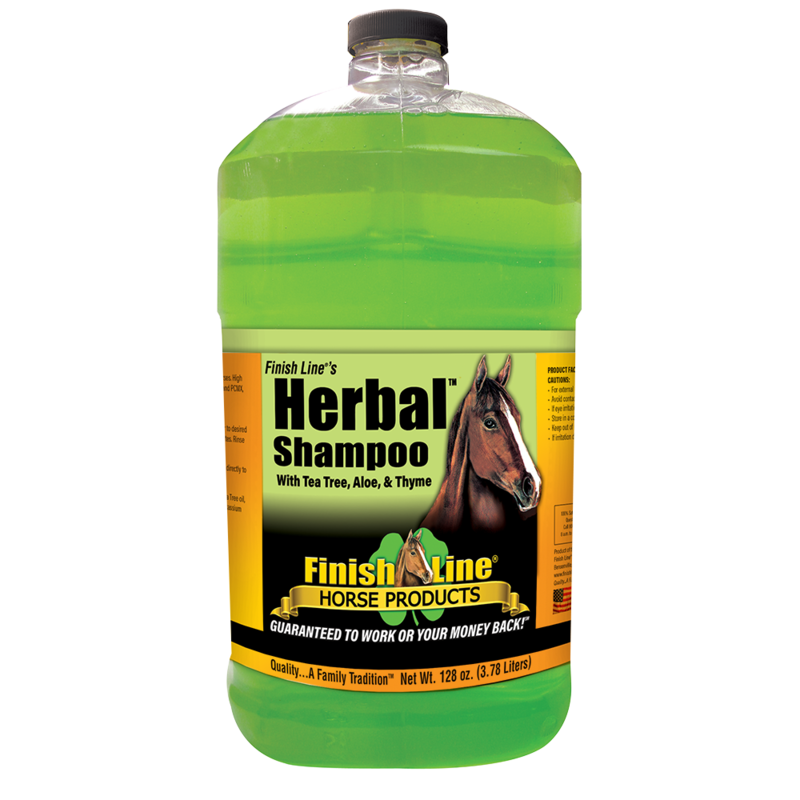 Herbal Shampoo™ is formulated to match that of equine skin, when diluted into water. Just dilute with water and it is ready for use.